We live in a competitive world. When you're thinking about your career and think about what your parents used to do to make a living, you now have to do a lot more. This isn't exclusive to the most diversified tasks you need to do at work. It involves much more than that. If you want to have a good income, you need to work hard and keep working for as long as you live. And this implies improving your skills and acquiring new techniques that allow you to stand out. So, having a good resume is a must nowadays. If you're looking to get your first job, or if you're trying to progress in your career, you should definitely consider free online certifications. When looking for free online certifications you need to make sure that they're verified or accredited. And since they're free, the only thing you'll need is some time. Then, once you have them, you can display them on your resume and you can be sure that you'll stand out to most recruiters. After all, you're taking your free time to improve your skills or develop new ones. ​EdX started as a partnership between the Harvard University and The Massachusetts Institute of Technology (MIT) in 2012. With different courses available, depending on the area where you want to focus more attention, you can get your certification for free. The courses usually include video lessons, testing, student-ranked questions and answers, real-time feedback, and collaborative web-based laboratories. 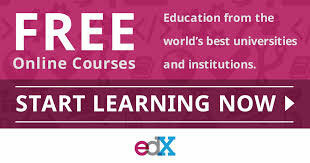 There are two main advantages when you choose to get your free online certification with edX: their certifications are verified, and you can take your time to take the course. This means that you won't have a fixid schedule to get your classes; you can take them when you have the time for them. And this is a great advantage especially if you already have a job and you don't have much spare time. 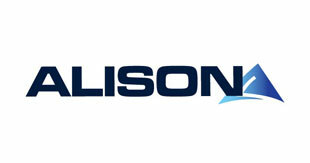 When you're looking for one of the best online free certifications, you need to make sure that you visit ALISON. At ALISON, you'll get high-quality courses that are engaging, and the best of all, you'll get a free online certification. They cover many different areas from entrepreneurship to business management, from IT management to mental health, from Six Sigma to programming, from customer service to international tourism, among so many others. One of the main benefits of taking an ALISON course and getting your free online certification is that you'll be learning from anywhere you want, using self-paced multimedia. If you're an individual person who is looking to get more skills and qualifications, this is one of the places you should look at. 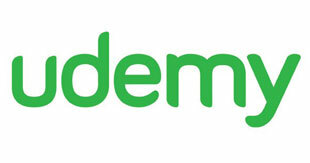 Udemy is another website that has both free and paid online courses. Some of them give you a certificate, while others don't. One of the best things about Udemy is that you can find the most varied courses in there. They cover many different topics and they can be really helpful when you're trying to get more skills. Udemy can also be very helpful if you just had a long absence from work. No matter the reason (personal choice, a health issue, or any other), you may want to update your knowledge and be on top of the newest techniques that employers are currently seeking. 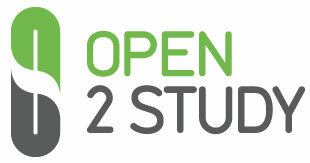 Open2Study is an online education center where you can find courses on the most varied courses. From astronomy to chemistry, from business to game development, from emergency management to education, you can be sure that you can find what you're looking for. At Open2Study, you can take the time to take one (or more) course out of the 48 free courses (either at the same time or at different dates) they have available. Since it's online, you can take the classes at your own pace, depending on the time you have available. Each course takes 4 weeks - one week for one specific module. At the end of each week (or module), you'll be asked to do a simulator exercise or answer a multiple choice quiz. These are just for to see if you're understanding everything and they don't count for your final grade. After that, you'll have one assessment for each module. They will save your 3 high scores and your final grade needs to be at least 60% in order to get your free online certification. As you can see, you have plenty of courses to choose from in order to get only the best free online certifications. Once you get them, make sure to include them on your resume. This will help you boost your career. Either if you're just entering the job market, if you're looking for a promotion, or if you've been absent for some time and want to come back, free online certifications will help you not only get a better job as you'll have more skills and competencies that can be quite handy. If you want to learn more about Six Sigma, then please check out the best self guided six sigma training website.